The directorial venture of Boyapati Srinu’s Vinaya Vidheya Rama Censor formalities completed. 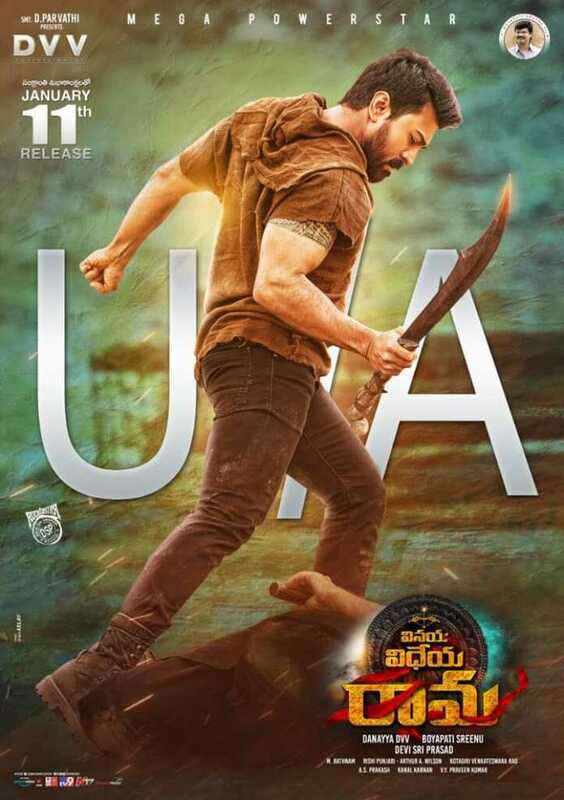 According to the latest update, Ram Charan and Kiara Advani starrer Vinaya Vidheya Rama Censor Report received U/A certificate without any cut from the CBFC board. DVV Entertainment has confirmed this news by sharing a poster on Twitter. Vinaya Vidheya Rama Movie is Directed by Boyapati Srinu and Produced by DVV Danayya under DVV Entertainments banner, the Vinaya Vidheya Rama Full Movie is set to hit the screens on 11th January 2019. Vivek Oberoi is playing the antagonist and Esha Gupa is shaking her leg with Ram Charan in Vinaya Vidheya Rama for an item song.